What is good about distressed properties: In a market where prices are this high, any discount is a discount. Many conditions of these sales require that you give up your right to inspect, your right to get your deposits back, and any leeway for delays in your financing. The house condition tends to be worse, since the owner has financial problems and likely did not have funds to do repairs or maintenance. 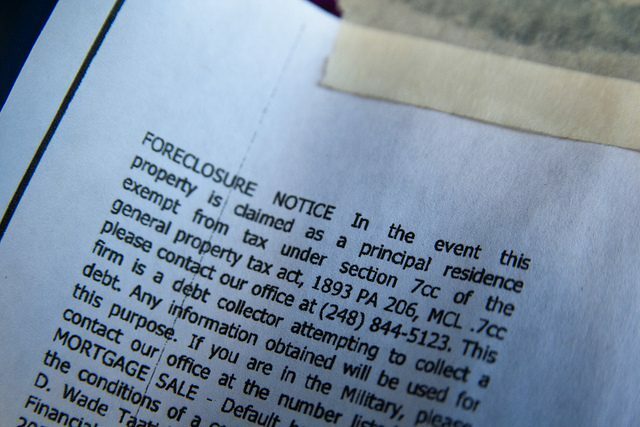 There is a sharp increase in foreclosure filings this winter because of two factors. The prices have risen enough for banks to get their equity out of the sale. Many of these sellers have been in default since 2008, but the banks were holding out on proceeding with foreclosure. Massachusetts law changed so that property titles that were not considered valid could be cleared so that the property can be sold with acceptable title. There is a sharp decrease in short sales. Why? Most properties in Massachusetts have risen back to their pre-recession levels, allowing owners to sell on their own terms. If an owner can sell for the amount of their outstanding mortgage, they do not have to go through the short sale process. That short sale process involves negotiating with the lender so that the lender accepts less than the amount owed when the property is sold. How do I look for short sales and foreclosures? A short sale or foreclosure property that is a good deal is hard to find. If you attempt this, be prepared to sort through a lot of false promises and see some beat-up properties. Sites like Zillow and Trulia show “pre-foreclosures” as potential sales when the properties are just going into legal action. They collect their information from public records. We frequently follow these properties and find that they do not change hands. Some sellers get themselves out of trouble. Some sellers rent the properties and get enough income to maintain the property. The agents who are in the margins of Trulia, Zillow, and such sites are paying for advertising there. They are not connected directly with the property. They are looking to have you hire them as a buyer’s agent. You, or your agent can search the public records to see what the legal status of a property is. How do we look into these pre-foreclosure properties? Public record searches. When a seller is in default, the lender can begin the process of foreclosure. A homeowner has many ways to delay and stop the process before you will get a chance to buy it. The first notice is called an “Order of Notice.” This notifies the owner that the lender is exercising its right to foreclose. (Sometimes called “calling in the mortgage.”) A lender can do this anytime a borrower is two or more payments behind. Any seller can pay the debt owed up until the auction. It’s called reinstatement. Lenders will not accept an offer that is less than their appraiser says is market value. The Order of Notice activates a “pre-foreclosure” notice on a real estate sites. Frequently, the sites use the term “Lis Pendens,” which means a legal action is being anticipated. The more important notice — the one that really starts things — is the Notice of Sale. The best place to find these is in local papers. 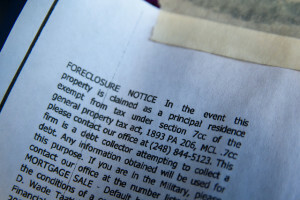 Lenders are required to make public notice of foreclosure sales. In that notice, you will get the name of the auction house and the lender. 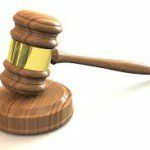 The auctions are frequently postponed a few times. If you attend the auction, you might get a bargain. The cautions are that you may not be able to see the property, you generally have to give up your right to an inspection, and your deposit is non-refundable. But, sometimes, it is worth it. If the lender is not happy with the results of the auction, they will “buy the paper.” This means that the lender now owns the property. That’s when you see a foreclosed property on the MLS. Con: In the current market, sellers rarely settle for private sales because they expect a bigger profit from having more buyers see their place and compete for it. They are right! That is why you should doubt stories of “listing agents” who are getting you into properties that no one else can see; listing agents have a duty to get the seller the best price and terms and that’s not how to succeed at that.